After Quinton ‘Rampage’ Jackson said that he was not much interested in getting the championship title again, he is now intense and hoping to become the light heavyweight champion for the second time. Rampage Jackson’s statements would shut his doubting critics up in fighting Matt Hamill. He insisted that he’s not bothered if others doubt his excitement to fight, and even thought it weird. 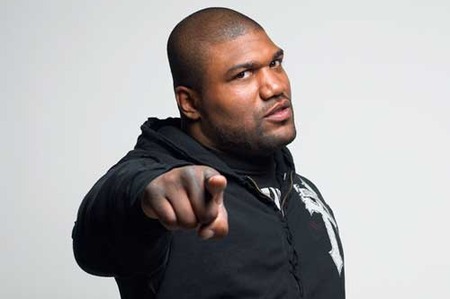 Rampage Jackson also added that he is excited to make a living, and pointed out that fighting Matt Hamill is pure business. He also cleared that his past statements are not against his opponent, but on his perception about his career and what he usually do as a fighter. The 33-year-old Rampage Jackson predicted that his MMA career would end up after two years, and is now preparing about his future following his retirement. He recently opened a gym in California with his friend, but there is a lot to come before he step out of MMA. He could have a bout against Jon Jones if win against Matt Hamill, and other interesting matches could still go on his way.